I start this post today literally weeping. I have had some hard challenges lately. One with a friendship that has changed. Our relationship has drifted apart and I don't understand why and it has been painful to accept. Secondly I have been bombarded by the accuser. Being a mom is so hard sometimes and being a special needs mom is a whole new battle ground. I have been lonely. I have been drained and I have been discouraged. One of our Pastors spoke on Sunday how when the accuser comes that it is not really about you. It is about God. He accuses to get your faith. Let me share with you some of the accusations he has put before me like a serving of rat poison disguised as a proper meal. "Your not a good friend Michelle so that is why this friend doesn't want to do life with you. Your life is not relatable or too hard or messy. You are just too needy. " Then there is the struggles with special needs parenting. Ones like, no I don't want to go to Target by myself because I know there will be behavior issues that will drain and embarrass me so its better to just not go anywhere. Play dates don't happen because my daughters with sensory processing disorders will be aggressive or lick other children or smother them. Going to soccer games is exhausting because my daughters unlike the other children I see at the games can't just sit on a blanket and watch big brother play. They can't be cautious and not run into the road even though they have been warned and told a thousand times. Every single meal is a battle. Every single night is restless. We don't have family close to us, so our support system is extremely limited with the girls. "You signed up for a lifetime of desert living Michelle. You are on your own." This morning I was able to call my best friend and just break down in tears with her. I truly love her for that. I can be gross before her but still she loves me. 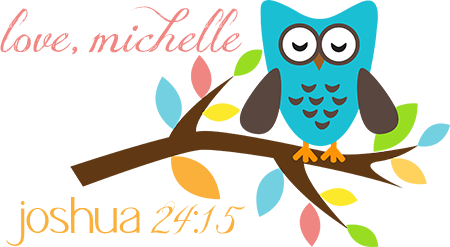 Then I spent some time starting a new Bible study I found online for special needs parents. 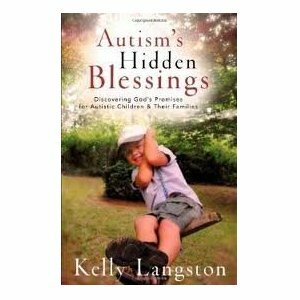 The title is "Autism's Hidden Blessings." It is for any special need. I just replace autism with fetal alcohol syndrome. I honestly have just been able to get through the introduction so far and I have literally crumbled. Have you ever just been desperate for something. I've been desperate for help and hope with my girls. True hope. True hope only comes from God and Im telling you I've needed it like the desert needs the rain. As I limped before my heavenly father this morning I found tremendous comfort in this special needs mother's kinship. Then there was one tiny little sentence that gripped me that this mother wrote after describing one of her most challenging moments as a special needs mama. "God will help me." As I read it the dam broke. So simple I know, but profound. As I read it the lies were hushed. The truth poured in. "Michelle you are the best friend you can be. Those who are with you now in the hard stuff, in the mess, in your need, are your true friends. That is true intimacy. Michelle you will not stay in the desert. The rain always comes. It is a journey. I am with you in Target, at the dinner table, at soccer games, when you are drained and weary. There is a harvest. The promised land awaits. Love you Michelle. MOST friendships are only for a season in our lives, and no need to fight it when God starts to bring space or distance in a relationship. He will do that often as He steers us toward the people He wants and away from the ones whose season of closeness is ending in our lives. You haven't done anything wrong and this is a natural relationship progression. It only gets ugly when we fight it instead of blessing them and releasing them into God's new season for their lives as we step into our own. Hurting with you as you process these issues. You have such a tender heart and a desire to be with God's people. That is just one of the many things about you that is so beautiful. Thank you for loving me Leah and always taking the time to encourage. I so appreciate you. Thank you for your truth, for your honesty, for your ability to put into words so many of the struggles that I face, and I am not a parent of a special needs child. I have been in Target when my children are exhausted and acting up, I have been at a soccer game when my 3 year old would not sit still, when I miss practically the entire game because I am chasing my girl all over the Bisset park. I can not imagine the challenges that you face, but I am humbled by your honestly, I am humbled by your ability to turn your face toward God and seek his mercy and wisdom. You are such an amazing individual, and mother....and can I be totally honest with you? There are three women, just three, that I have come across in my life who embody the kind of mother that I hope to be...those who display the balance between patience, intelligence, humor, love, discipline and creativity...and you, my dear, are on that list. You, Mindy Holihan, and Julia Berger! No kidding! No mom is perfect, but maybe you don't even realize it, but you inspire other Moms Michelle, inspire us to be better Moms! Thank you for being you! God bless you my friend! This comment simply takes my breath away. I hope you see my response and know how grateful I am today that you took the time to leave it and how much your words of encouragement have blessed my fragile heart this morning. Thank you so very much for your kind words. Oh Michelle, I feel like we are walking similar roads although the reasons we are there are different. I can't go to the store. I stay home now because the boy's are best regulated here. I love to cheer for my kids soccer games. My Tot screamed through the entire hour of my oldest son's last game. I have come right out and told a few friends. If we are going to have friendship right now, then you will have to come to me. This is my season to be home. Some have come and been there and some have not. When I feel bad about all the trials I hear the whisper, "You CHOSE this." I know the truth when I remember it. He chose this for us, and He will be with us. Praying for you! 4 Even though I walk through the darkest valley, I will fear no evil, for you are with me; your rod and your staff, they comfort me. 5 You prepare a table before me in the presence of my enemies. You anoint my head with oil; my cup overflows. 6 Surely your goodness and love will follow me all the days of my life, and I will dwell in the house of the Lord forever. Mandy thank you do much for joining me on the journey. Your understanding and encouragement are a blessing. His is with and will help us both. I can't tell you how much this post meant to me. I don't have special needs children but I'm in the desert like you wouldn't believe. Thanks so much for your honesty. I am so glad you stopped by and I am glad God was able to use my writing to mean something to you. I hope you will come back again. Okay, my time to cry! Michelle, your story hits home with not only me, but so many people on the study. Well, girl, you are most DEFINITELY not alone! God is certainly with you...even when you might not feel that He is. And yes, He will help you. I see it again and again, when we surrend and call to Him...He shows up. Just watch and see, Michelle. SO very glad to have you a part of the study. Your blog is beautiful, too!